Yale University professor Hazel Carby is this year’s Distinguished Visiting Humanist. With help from genealogy websites and other digital tools, millions of people are on quests to recover family history, seeking to learn about themselves by tracking down ancestors. This year’s Distinguished Visiting Humanist, Hazel Carby, has spent 10 years investigating her own roots in Jamaica and Wales. But her aim has been more than personal. With her forthcoming book, Imperial Intimacies: A Tale of Two Islands, Carby—the Charles C. and Dorothea S. Dilley Professor of African American Studies at Yale—probes the legacies of empire and slavery. Imperial Intimacies is an “autohistory,” she says: “The story of my family comes in and out of it. But it’s an archival project; it’s not a memoir. It’s a way of untangling the knots of connection between the British empire across the Atlantic.” Verso will publish the book in the fall. 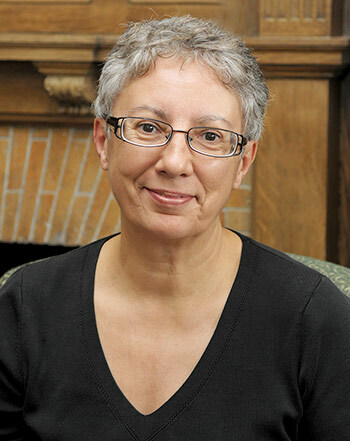 Carby has played an important role in shaping contemporary humanistic research through her trailblazing work on the cultural and political convergences of race, class, gender, and sexuality. A 1984 doctoral graduate of the Center for Contemporary Cultural Studies at Birmingham University in England, she helped to introduce the practice of cultural studies to scholars in the United States. Her experiences teaching high school in East London—to Afro-Caribbean immigrants and British-born students of color—inspired her first important publication, the essay “Schooling in Babylon,” which was published in the highly influential book The Empire Strikes Back: Race and Racism in 70s Britain (Hutchinson & Co., 1982). A faculty member at Yale since the mid-1980s, Carby is the author of Reconstructing Womanhood: The Emergence of the Afro-American Woman Novelist (Oxford University Press, 1987), Race Men (Harvard, 1998), and Cultures in Babylon: Black Britain and African America (Verso, 1999). Hazel Carby will take part in a variety of events during her visit to Rochester as this year’s Distinguished Visiting Humanist, a program of the Humanities Center. Discussion of archival research and the history of race, gender, and empire. RSVP required to both Joel Burges (jburges@rochester.edu) and Madeline Ullrich (mullrich@ur.rochester.edu) to participate and obtain the reading. What does it mean to study race and racial formations at this moment in political and intellectual history—and to do so in Rochester? A lecture drawn from Carby’s forthcoming book, describing her father’s coming of age in 1930s Jamaica. Her newest book “has been percolating a long time,” she says. She first conceived of it as an investigation of race, gender, and class in Britain after World War II. But her plan evolved: “I realized I needed to go back through World War II, because I was dissatisfied with the way in which a lot of history imagines that questions of racialization only start after World War II.” Her inquiries propelled Carby further and further into the past, and the completed book spans the period from 1750 to 1950. She considers how each of her parents were formed as imperial subjects and analyzes different facets of her maternal and paternal family stories, exploring their disjunctures and intersections. Dating from around 1816, the register lists both the people who were enslaved and those who held them captive. Noted in the register is the name of the man who kept her ancestors as slaves, and her book grew to include his family story, as well as a history of the clerks who maintained the records of empire. Some of Carby’s forebearers lived in Bristol, England. Despite their lower-working-class status, they had a “sense that they could progress,” she says. 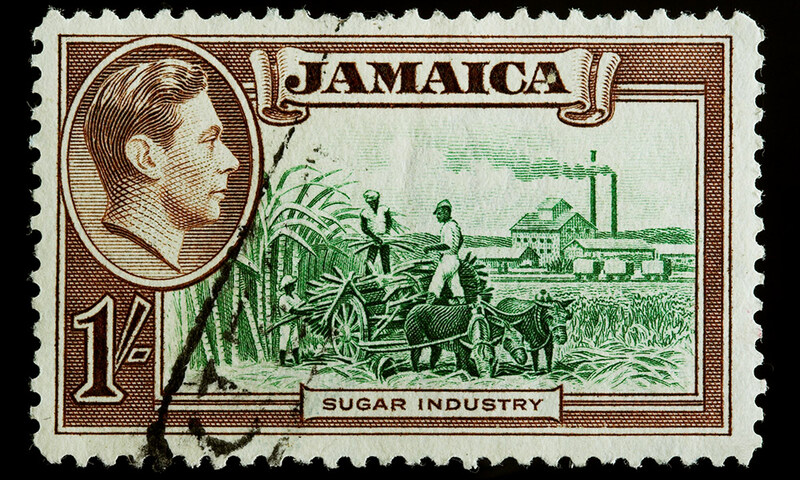 “The city of Bristol had a very rich civic culture, and they got their sense of belonging from it.” But Bristol’s theaters, libraries, and educational institutions were made possible by wealth that came from refining raw sugar produced on Caribbean sugar plantations. The sense of opportunity experienced by her mother’s family was a product of the oppression of her father’s. In looking for the historical grounding of family stories and the larger story of empire they reveal, Carby made use of every piece of documentation she could get her hands on: records at the national and colonial archives in Britain and Jamaica, papers from Britain’s War Office and other military archives, property records, church records, census data, and more. But with the information she gleaned from them, Carby found far-reaching implications.